Here are some highlights from some of our past performances! 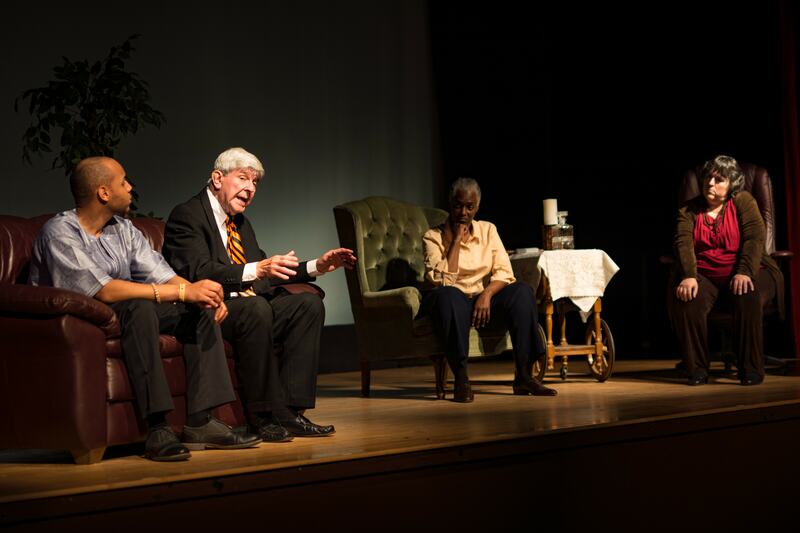 It was a cooler than normal evening on August 5th when a group of Park Players took the stage at the 5th Annual Sidewalk Festival of the Performing Arts and delivered a staged reading of excerpts from To Be Young, Gifted and Black. This was the second year Players has participated in the festival, and it contained plenty of surprises. We were greeted by a contingent of fans and there was not an empty seat to be seen! 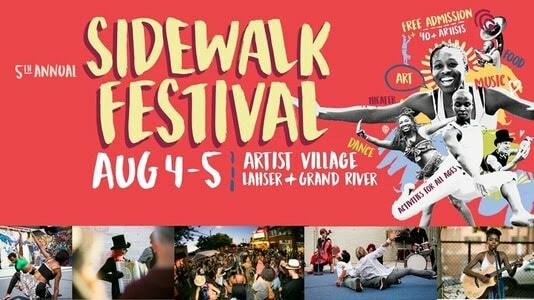 This year's Sidewalk theme was Radical Moment(um), and scenes from our fall show perfectly fit material to perform. 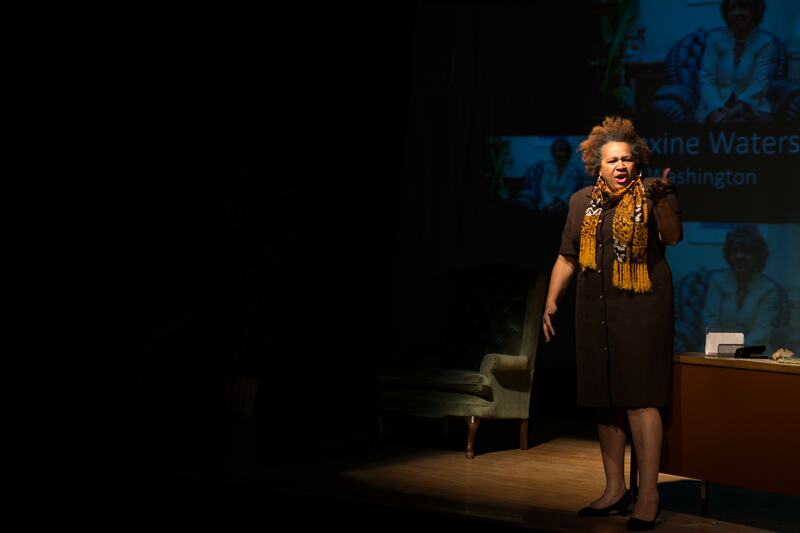 Lorraine Hansberry's work deals with the many complex social/ racial issues of her time. If that weren't enough radical talk, there is the stark realization that most of the issues she wrote about are still unresolved today. We are excited that a few Players who will be unavailable for the full show this fall were able to participate in the reading. 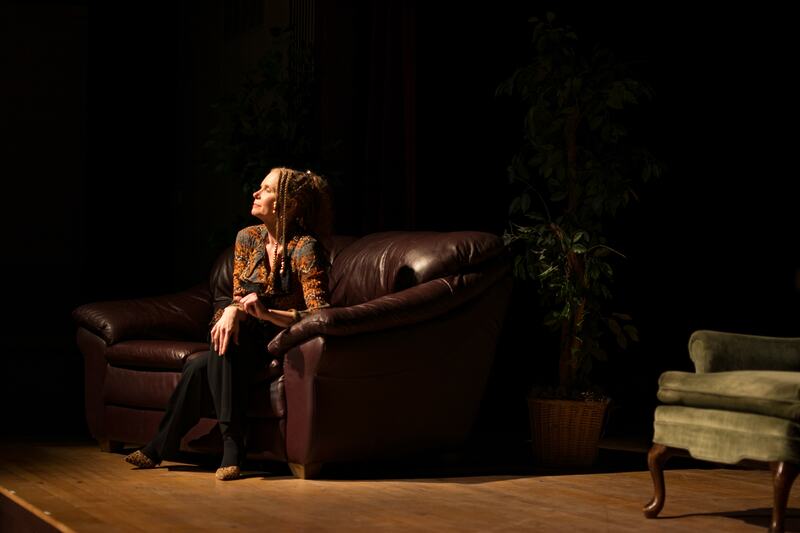 We got to hear from Mary Davis, who has been absent from our stage during my time with Players. And Steve Spencer was there fresh off knee surgery (Get well Steve!). Thomas Philips was able to join us and he never gets to do anything with us due to work. 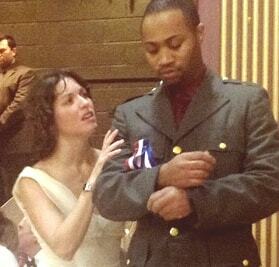 Even Tamara Kamara found time in her busy schedule to lend her voice to the reading! 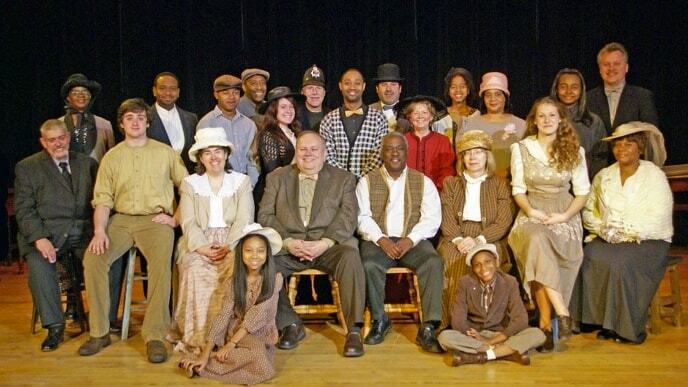 The full cast included Sadie Bernice, Stefan Lee, Karen Curtsinger, Mary Davis, Steve Spencer, Tamara Kamara, Thomas Philips and Archie Lynch. All coached and directed by Angela Riley and Roger Loeb. Thank you to all that came out to Sidewalk to see us. For those who didn't make it out to the festival, there is always next year! 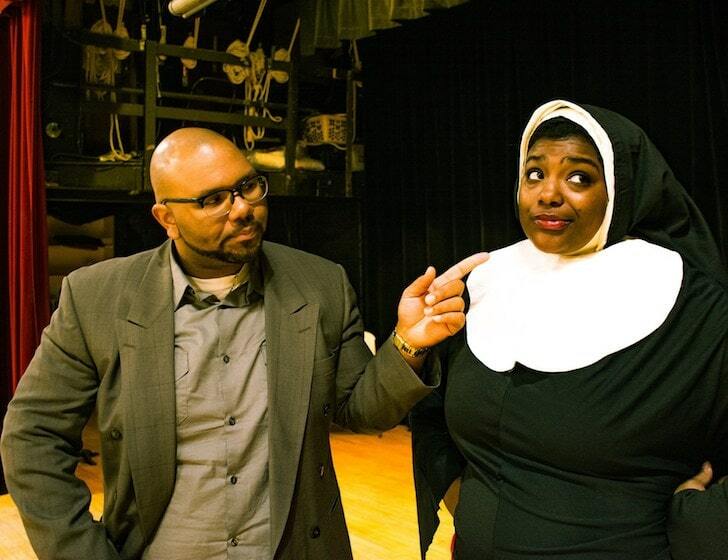 Carman spoke with WXYZ Detroit and sang "Sister Act" on TV to promote our show! 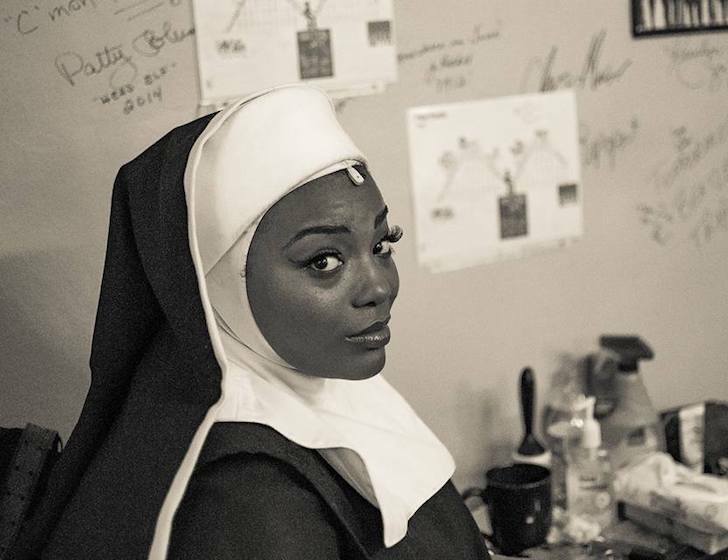 Sister Act was one of our most exciting shows to date! 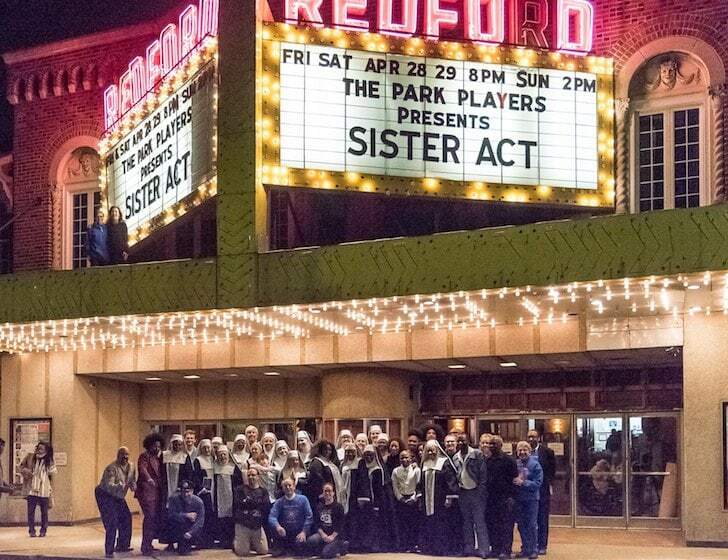 We had awesome turnouts, and did a weekend at the historic Redford Theatre! Kudos to everyone who played a role in bringing this show to two separate stages, and breakingnlegs all along the way. 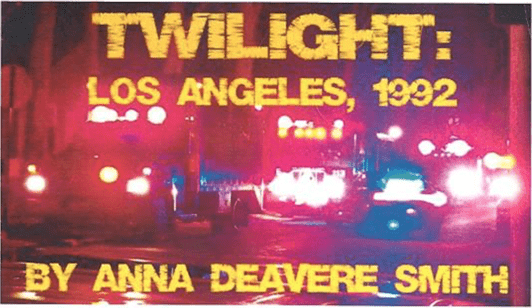 Acclaimed as "an American masterpiece" (Newsweek), Twilight: Los Angeles, 1992 is a stunning work of "documentary theatre" in which Anna Deavere Smith uses the verbatim words of people who experiences the Los Angeles riots to expose the devastating human impact of that event. From nine months of interviews with more than two hundred people, Smith has chosen the voices that best reflect the diversity and tension of a city in turmoil: a disabled Korean man, a white male Hollywood talent agent, a Panamanian immigrant mother, a teenage black gang member, a macho Mexican American artists, Rodney King's aunt, beaten truck driver Reginald Denny, former Los Angeles police chief Daryl Gates and other witnesses, participants and victims. A work that goes directly to the heart of the issues of race and class, Twilight ruthlessly probes the language and the lives of its subjects. Offering stark insight into the complex and pressing social, economic and political issues that fueled the flames in the wake of the Rodney King verdict. 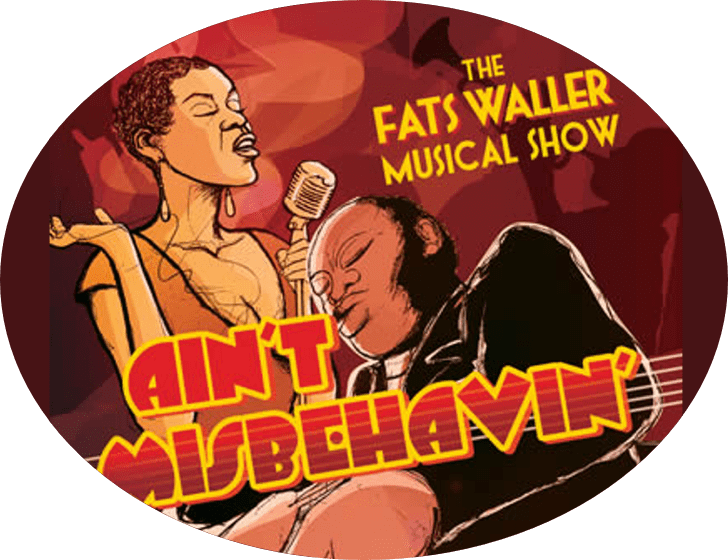 Park Players' Spring 2018 musical is a big one! 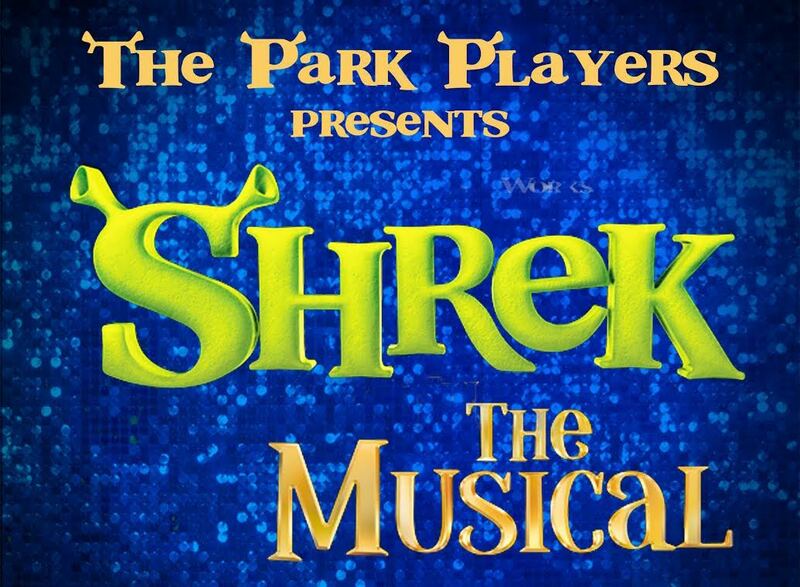 Travel with us to Duloc with Shrek, Donkey, Princess Fiona, and the whole crew. Set in a mythical “once upon a time” sort of land, Shrek the Musical is the story of a hulking green ogre who, after being mocked and feared his entire life by anything that crosses his path, retreats to an ugly green swamp to exist in happy isolation. Suddenly, a gang of homeless fairy-tale characters (Pinocchio, Cinderella, the Three Pigs, you name it) raid his sanctuary, saying they’ve been evicted by the vertically challenged Lord Farquaad. So Shrek strikes a deal: I’ll get your homes back, if you give me my home back! But when Shrek and Farquaad meet, the Lord strikes a deal of his own: He’ll give the fairy-tale characters their homes back, if Shrek rescues Princess Fiona. Shrek obliges, yet finds something appealing–something strange and different–about this pretty princess. He likes her. A lot. But why does she always run off when the sun sets? A Musical Fable of Broadway! 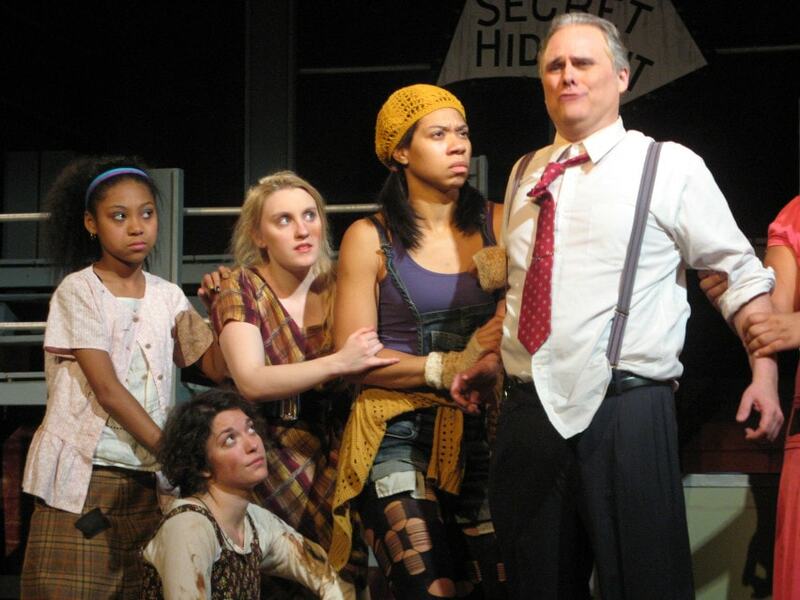 A brilliant satire modeled off the plays of Kurt Weill and Bertolt Brecht, Urinetown is a wickedly funny, fast-paced, and surprisingly intelligent comedic romp! Our Town gently advises us to appreciate life while we are living it, particularly the uneventful, ordinary activities - smelling flowers, eating breakfast, looking out the window at the silent moon. 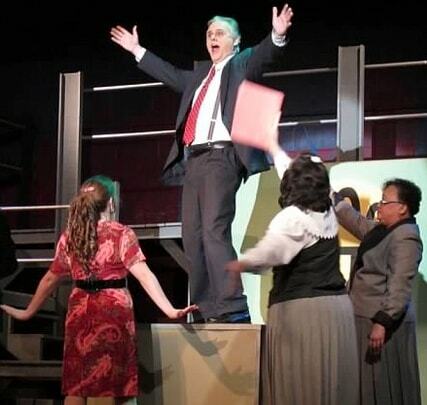 Hairspray is fun, wacky and witty - and at the same time addresses issues of prejudice and discrimination. Nathan Detroit, the infamous New York City gambler, has bet Sky Masterson that he will not be able to make the next girl that he sees fall in love with him. That girl turns out to be Sarah Brown, a prim and proper Mission gal! Meanwhile, Miss Adelaide, Nathan's longtime fiancé, is desperate to get Nathan to the alter. The gamblers, the dancers, and the spunky do-gooders are thrown together in a charming, timeless story. 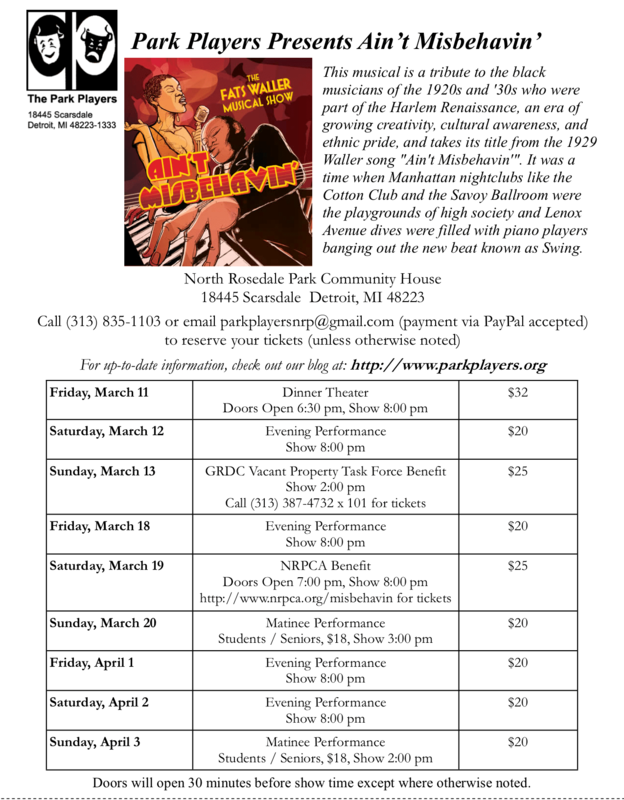 And now, the Park Players' revival will be performed in the North Rosedale Park Community House in Detroit. 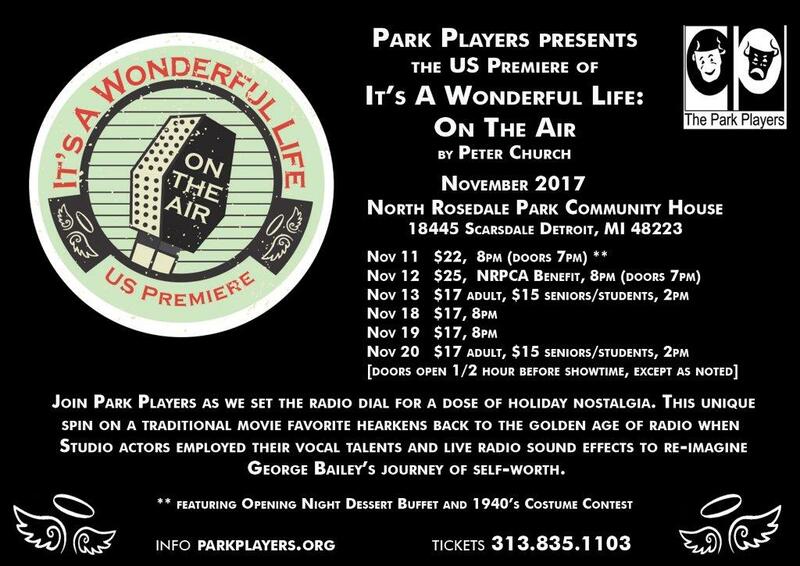 For ticket reservation and purchase for this Detroit community theater show, please call (313)835-1103 or e-mail us at parkplayersnrp@gmail.com. What better way to enjoy the Halloween season than with a murder mystery? 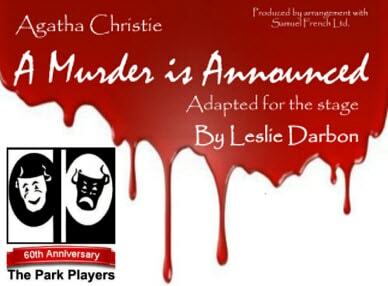 The Park Players are proud to invite you for a night of suspense and surprises as they perform Agatha Christie's A Murder is Announced, adapted for the stage by Leslie Darbon. Reflecting the lifestyle and morality of 1950s England, the play is set in the old Victorian home of Miss Letitia Blacklock, who has opened her house to several boarders. The occupants include Miss Blacklock's niece and nephew, her old school chum, and a single working mother. It should come as no surprise to fans of Christie that no one is exactly who they say they are. Soon enough, mixed motives and murder create the scene for an unforgettable evening of mystery. Come along as determined inspector Craddock doggedly traces the twists and turns of the surprising plot, and the indomitable Miss Marple steps in to provide the final, brilliant solution! 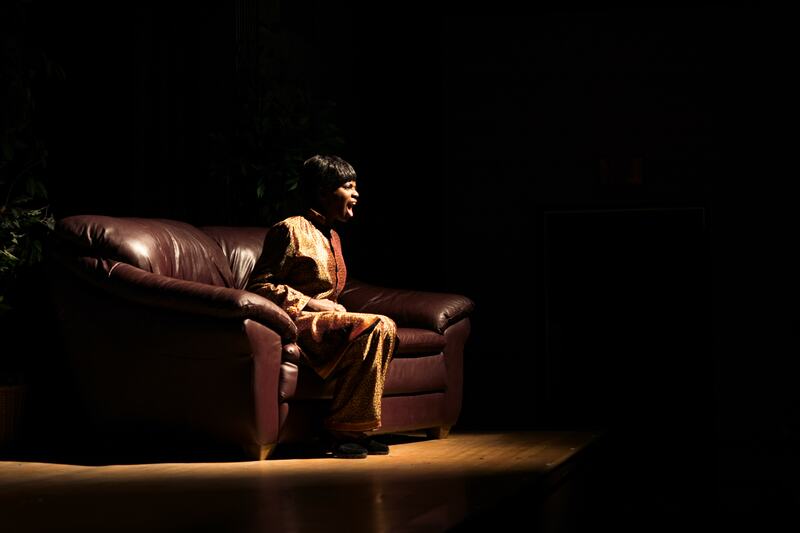 The cast and crew have been working hard to perfect this intriguing tale of suspense for theatergoers. Many regular Park Players performers, whom you may remember from Dreamgirls, are back, including Linda Witherspoon playing the part of Miss Marple, and Steven Spencer as Inspector Craddock. Jeannette Steinhauer, who last appeared in Our Town, is taking on the challenging role Miss Blacklock. 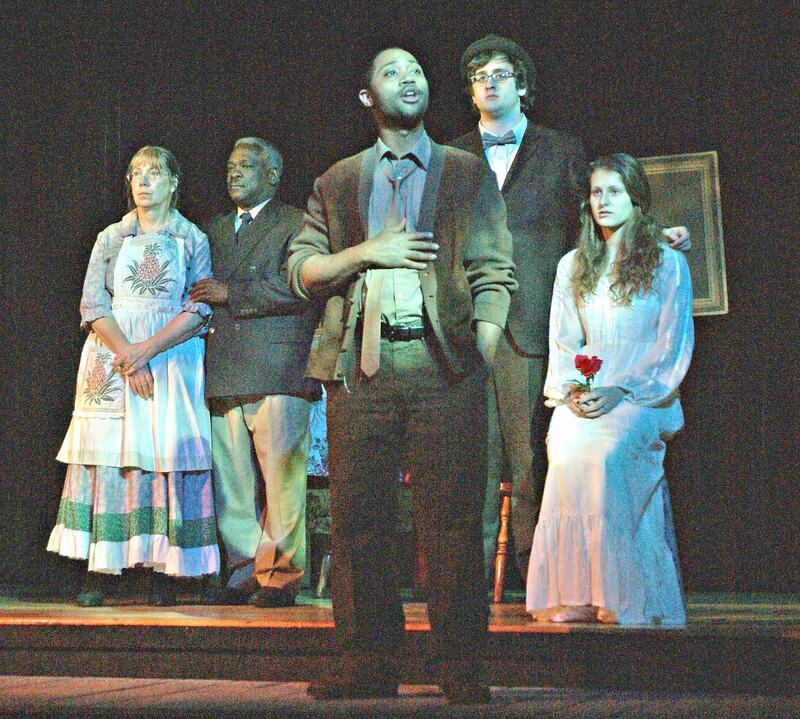 Also returning to the stage are Theresa Chatman (playing the part of Bunny in her first major role), Thomas Phillips, Carley Matkovich, Jonathan Jones, Wendy Krekeler, and Maggie Tibus. 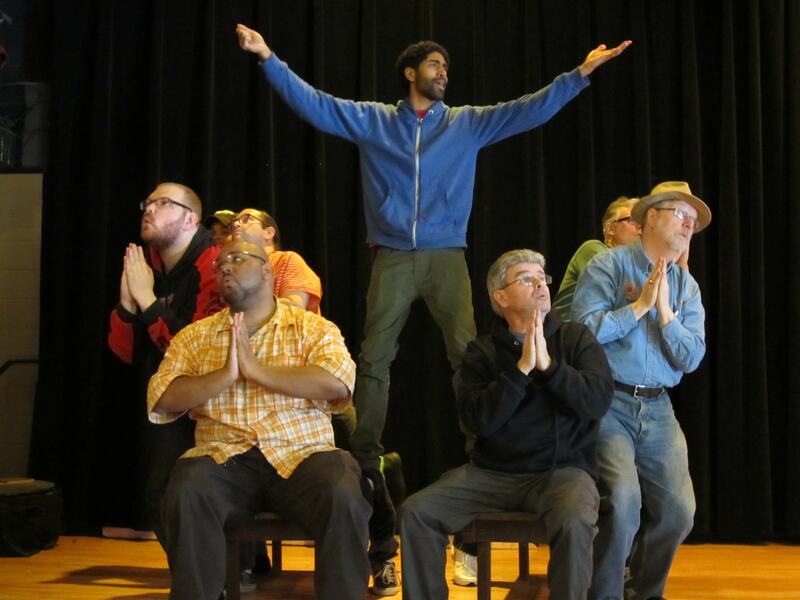 Newcomers to The Park Players include Toni Hammond, Michael Newhouse and Leonard Zabawski. 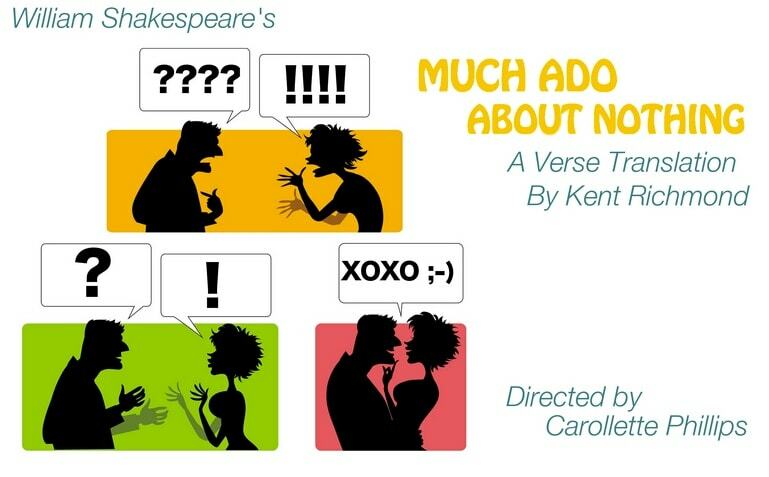 Shakespeare's Much Ado About Nothing is one of the most beloved and accessible of all his enduring comedies. Our version is a modern, relatable adaptation, with more approachable language, suitable for all ages. 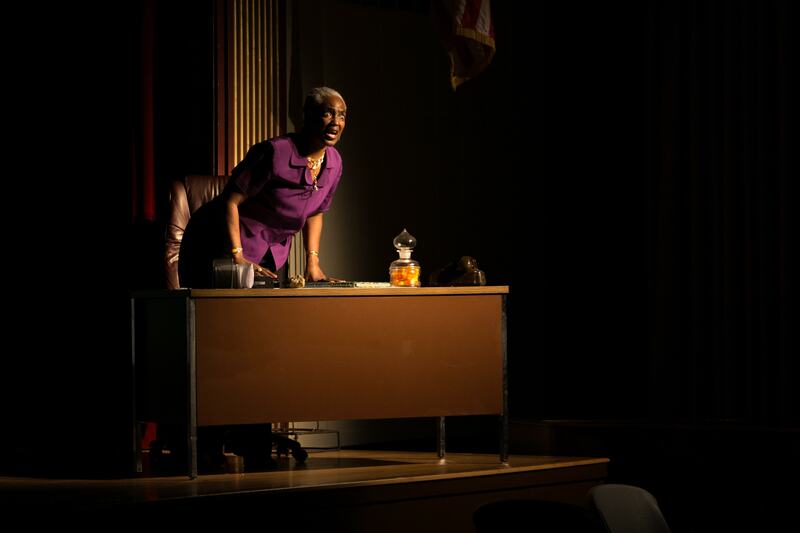 The play promises to have a distinctive character and style under the talented direction of Carollette Phillips, long-time Park Players member and recent MFA graduate from Wayne's State's theater program. This marks the second production of a Shakespearian play by the Park Players (the first being the hugely successful A Midsummer Night's Dream in 2000). We're very pleased to bring another timeless classic to life, right here in North Rosedale Park! 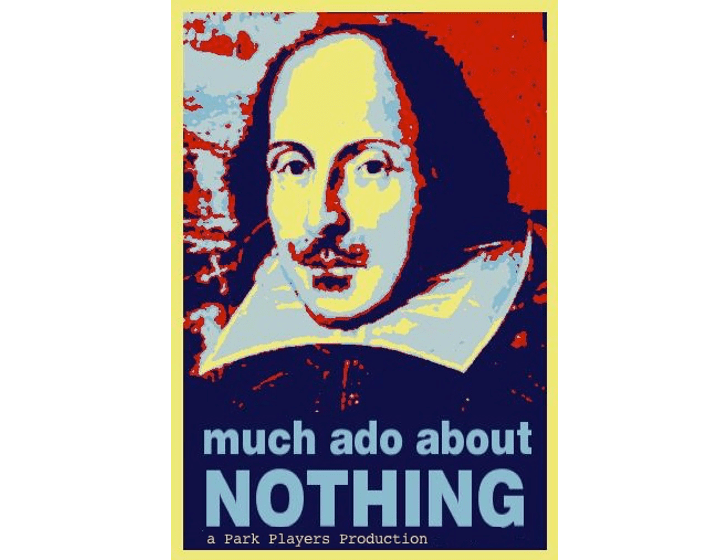 We're so excited about our November production of Much Ado About Nothing, and can't wait to bring our rendition to the stage! Here's a note from out talented director, Carolette Phillips, to give more insight into our enthusiasm for this show. People often think of Shakespeare as rigid or inaccessible but as audiences will soon see, it is quite the opposite! 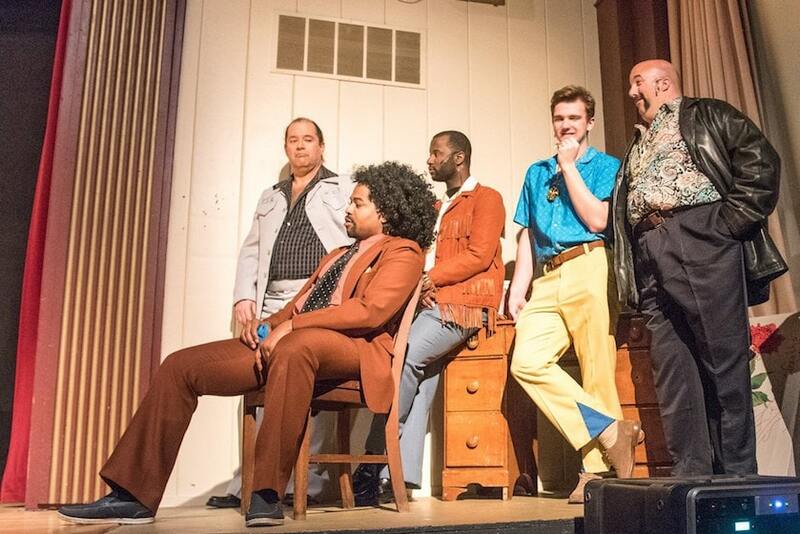 The incorporation of music and dance styles that span a variety of decades gives our production of Much Ado About Nothing an engaging, contemporary twist. 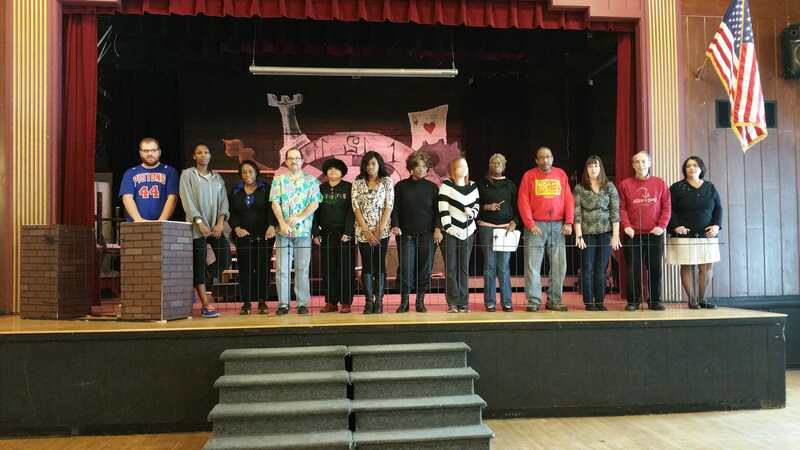 Our cast includes actors of diverse ages, backgrounds and levels of training, which really gives the show a great amount of color and a fresh outlook on the Bard's classic. Throughout the rehearsal process actors have worked diligently to develop unique characters and master this story in a way that allows them to bring the language to life and present a production that is creative and exciting! 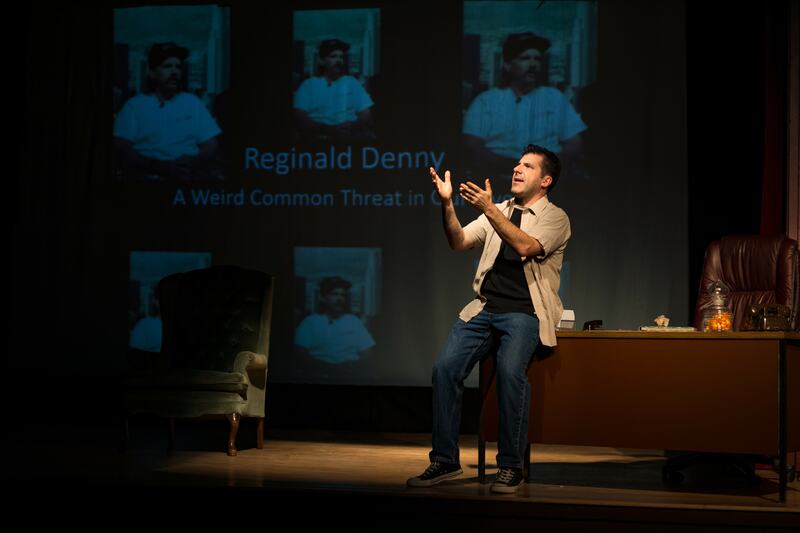 Our actors boldly attack the combination of comedy, drama, love, hate, jealousy and redemption illustrated throughout this production. One of the best elements of Shakespeare's plays is the fact that they always deal with these types of universal themes and situations. Recognizing this closeness to our present society and circumstances makes Much Ado resonate all the more with the cast and is sure to have the same impact on the audience. Also, this production features several actors who are new to Park Players and bring with them an incredible amount of talent and energy. It is exciting to have them on board and witness the spirit they infuse into this production. Don't miss what is certain to be a Shakespearian sensation! 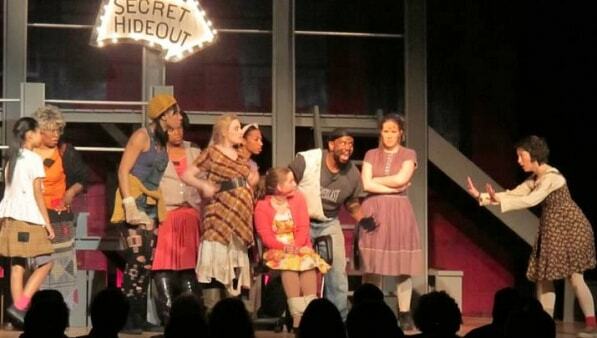 Urinetown - The Musical entertained audiences with its lively satire and comical musical numbers. 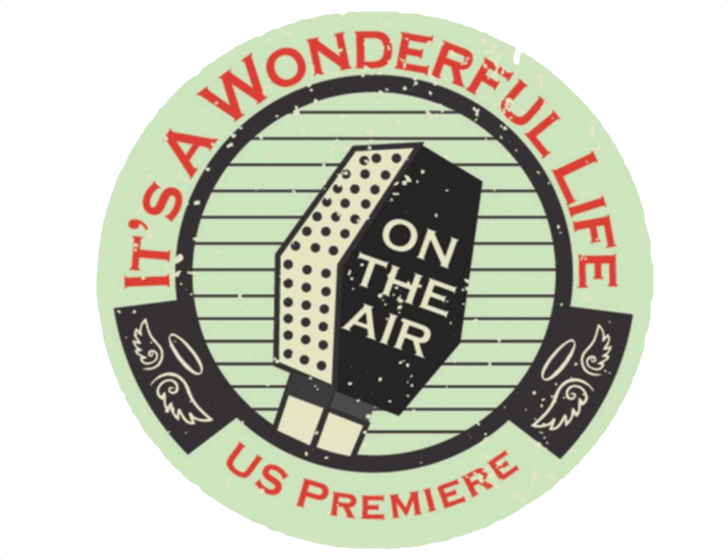 With a great cast of old and new members, and in the capable hands of talented director Sarah Hedeen and music director Rich Alder, the quirky subject matter of this tongue-in-cheek play sprang to life, delighting audiences with sarcastic anti-musical commentary. 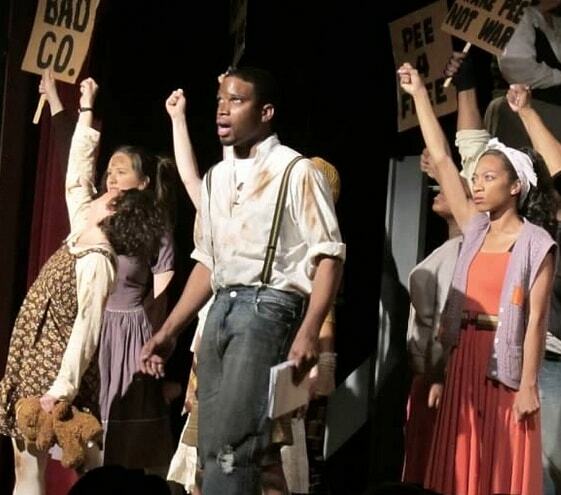 "I've never heard of Urinetown before, but it was the funniest musical I think I've ever seen." "Very modern themes. I loved the satire." "Amazing talent in this show!" 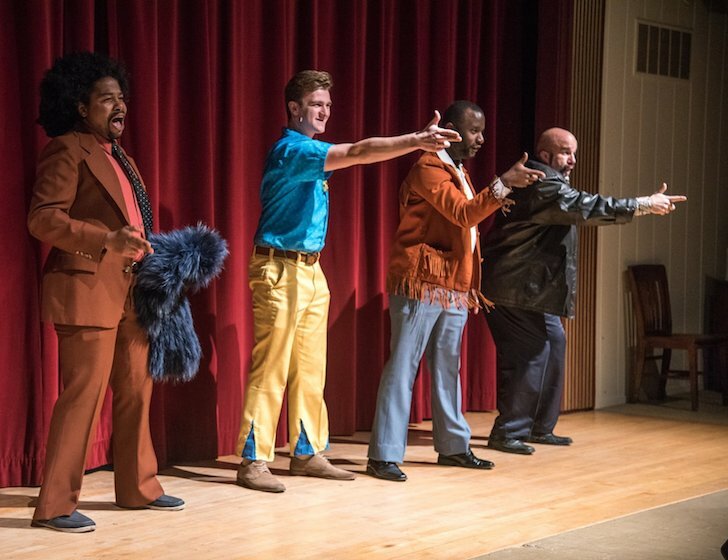 "Hands down, the best dancing I've seen at a community theater musical!" "I figured it would be good, but I had no idea it would be THIS good!" "I feel like the leads should go on American Idol, seriously!" We had a blast with this performance, and were thrilled to bring it to the stage! 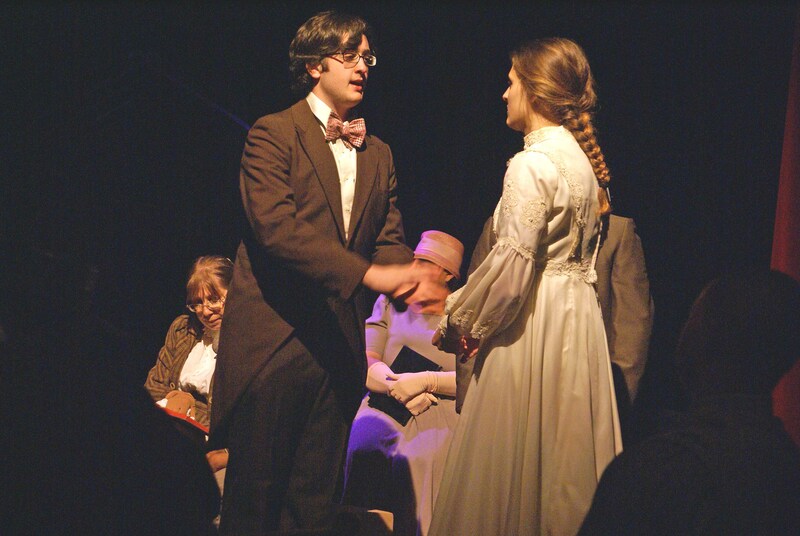 The Park Players are thrilled to present their upcoming fall performance of Our Town by Thornton Wilder (performed by special arrangement with Samuel French, Inc.). 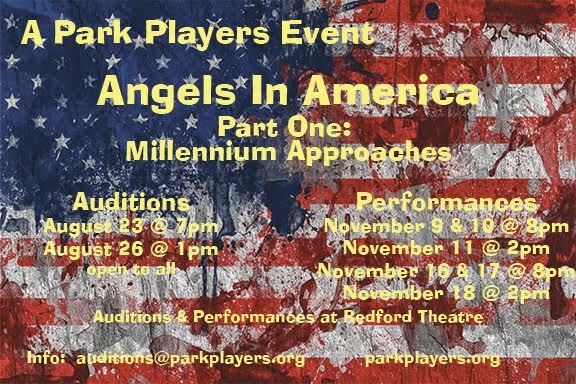 Veteran Park Players director Sarah Hedeen offers a fresh interpretation of this American classic, produced by Mary Davis and Carly Matkovich. Now's the time to reserve your place for this limited engagement! 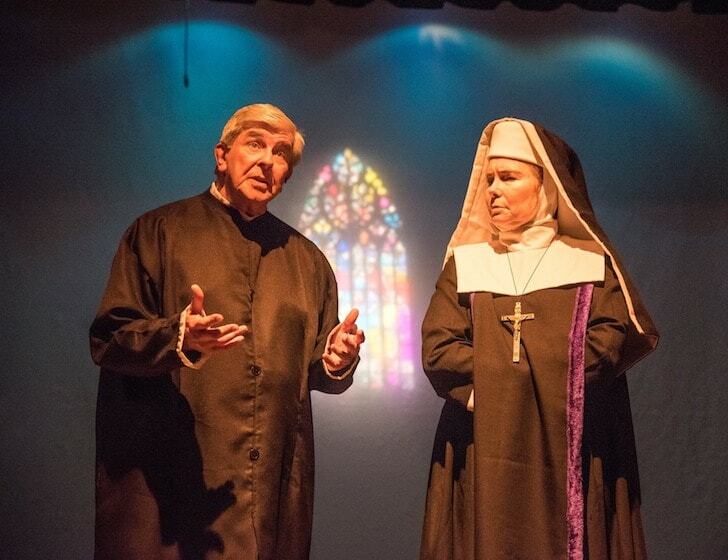 This play is guaranteed to pull at your heart strings and inspire your soul. 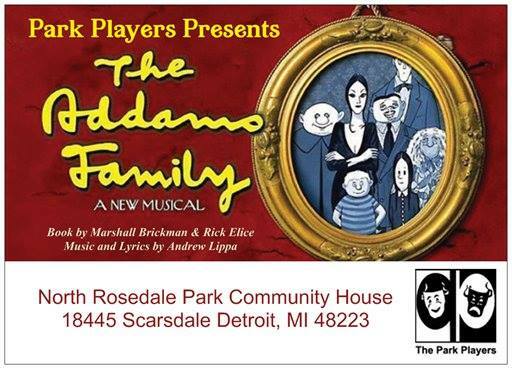 As with all Park Players performances, the show will be at the North Rosedale Park Community House 18445 Scarsdale, Detroit, MI 48223. 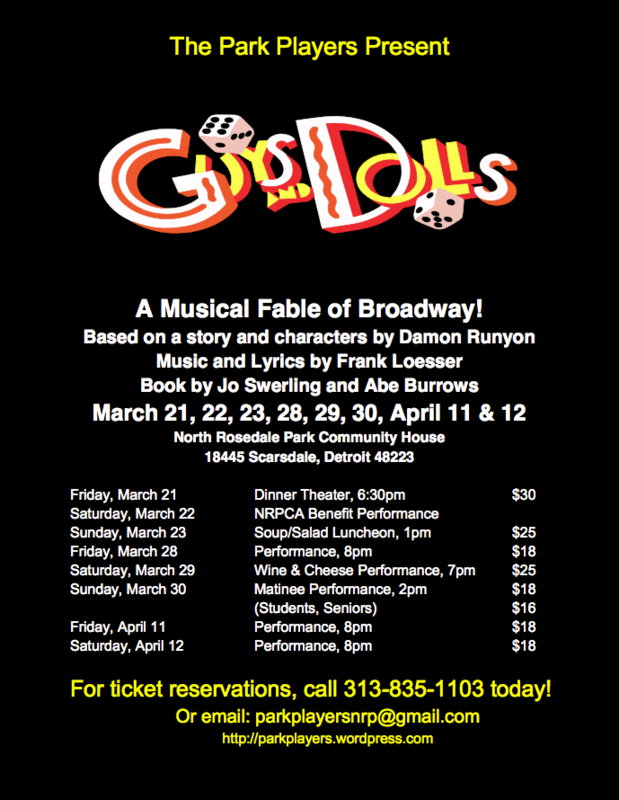 Attention all Loyal Patrons of Detroit Community Theater! The moment has arrived - our spring musical is on! You don't want to miss this amazing performance by the Park Players - featuring the most memorable show tunes in recent Broadway history. 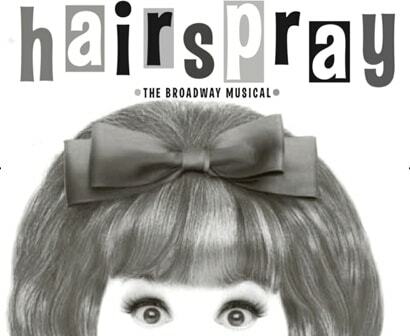 In addition to its irresistible be-bopping tunes, Hairspray is fun, wacky and witty - and at the same time addresses issues of prejudice and discrimination. The story follows the adventures of "pleasantly plump" teen Tracy Turnblad, as she bravely challenges the notions of 1962 Baltimore in her quest to become a dance sensation on the Corny Collins Show. Hairspray the Musical (music by Marc Shaiman and lyrics by Scott Witman and Shaiman) had an unusual path to Broadway, having first been a cult film in 1988 by John Waters. 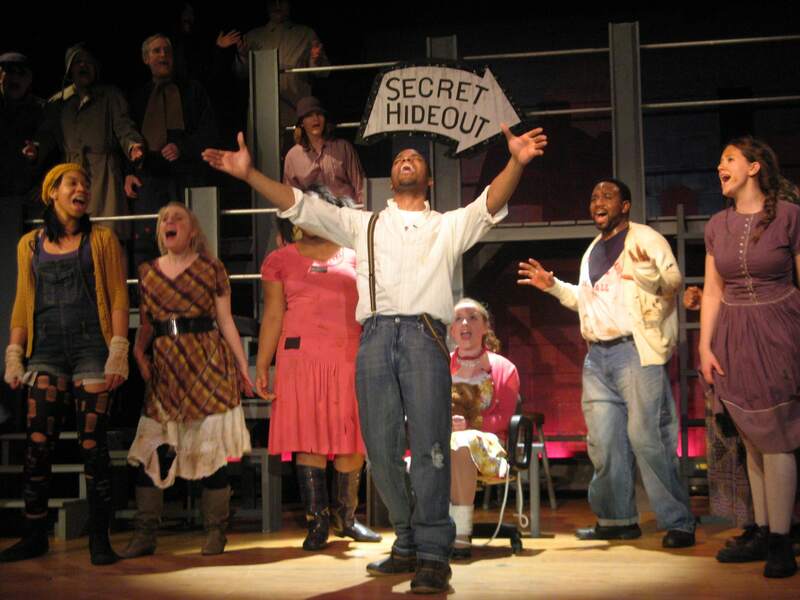 The Broadway musical hit the scene to wide appeal and critical acclaim in 2002. The songs are a delightful mix of 60s-style dance tunes and American R&B. The show had an impressive 7-year run, closing in 2009 after 2,500 performances. The show also toured the US and went on to entertain audiences in many foreign venues, where it even took Best New Musical at London's Laurence Olivier Awards. Coming full circle, it was adapted again into a movie in 2007, with John Travolta playing the part of Edna Turnblad, Tracy Turnblad's mother (always traditionally played by a man in drag).